Nigeria's former President Olusegun Obasanjo warned Friday that half of the over 200 abducted Nigerian school girls may never be found, in comments that will surely raise fears among the parents and guardians of the girls. “It’s inconceivable to get all of them back. If you get all of them back, I will consider it a near-miracle. Do you think they will hold all of them together up till now? The logistics for them to do that, holding over 200 girls together, is too much,” Obasanjo told the local Premium Times newspaper. It was the most pessimistic comments made on the chances of the girls being rescued safely since their abduction exactly two months ago Friday (13June). PANA reports that an international coalition that includes the US, UK and Israel is working with Nigeria to find and rescue the girls, but there has yet been no breakthrough. The terror group Boko Haram has claimed responsibility for the abduction and vowed to release them only in exchange for their members who are being detained by the government nationwide. But there are fears that the girls may have been scattered and taken outside Nigeria, which will make it difficult to get all of them released. 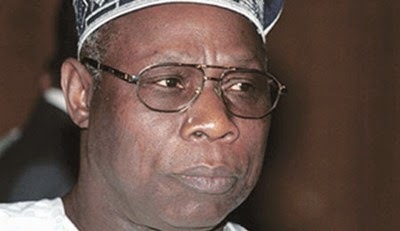 Obasanjo, who said the best option now is to negotiate with the abductors, also disclosed that he is willing to reach out to the Boko Haram leadership through a channel he had established, but would only do so if given the go ahead by President Goodluck Jonathan. “If they (government) agree to negotiate then we can begin to talk with them (Boko Hara),” he said. “Nobody can do anything alone. You cannot do it alone, it is not a one man mission, it’s not even a two-man mission. It’s a collective mission. It can even be an international mission,” he said.